The La Serena estate has belonged to the Mantengoli family since the 1930s, but they did not start making wine until 1988, when brothers Andrea & Marcello entered the family business. What began as a one-hectare farm has since grown into ten hectares, with about eight of those under vine, dedicated exclusively to Sangiovese for Brunello and Rosso di Montalcino. The Mantengoli family has incorporated a system of diversified agriculture in their vineyards, where they grow a variety of crops, including spelt. 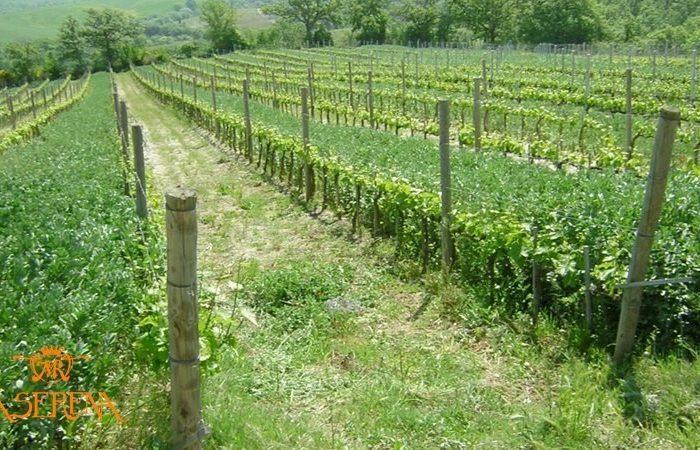 The zone of production, Torrenieri, is in the northeast corner of Montalcino at about 400 meters above sea level. The soil here is similar to the Pertimali/Montosoli Cru areas, but is slightly less compact, providing wines with structure but perhaps more approachability in their youth than their neighbors. With Enologist Paolo Caciorgna at the helm, the estate is in great hands. James Suckling 97 "Intense aromas of dried citrus and meat with hints of rose bush and fresh rosemary. This is full body, with full, velvety tannin and a decadent and rich finish. Fascinating flavors of spice, citrus and meat. Loads of fruit. From biodynamically grown grapes. Better in 2016." Wine Spectator 97 "Beautifully perfumed, this red features rose, peony, black currant, tar and licorice aromas and flavors. Ripe and dense, with well-integrated tannins and acidity that funnel the fruit and savory notes into a long aftertaste. Complex and intense. Best from 2013 through 2026"